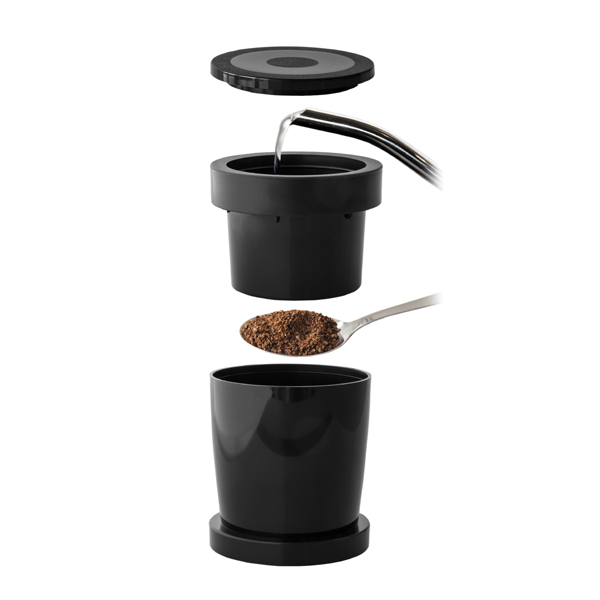 COFFEE SPRINTER – The single cup coffee brewer, pour over for fresh coffee. 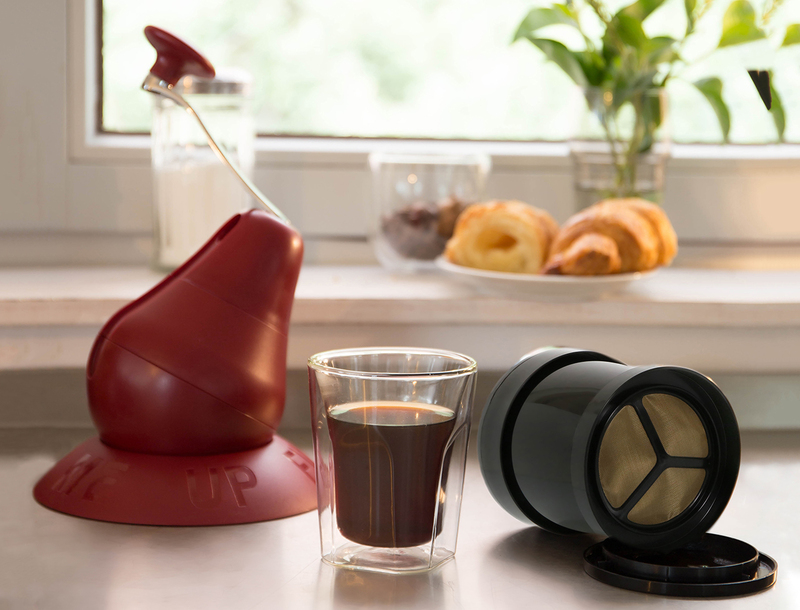 The single-cup coffee brewer is the perfect solution for ultimate freshness. 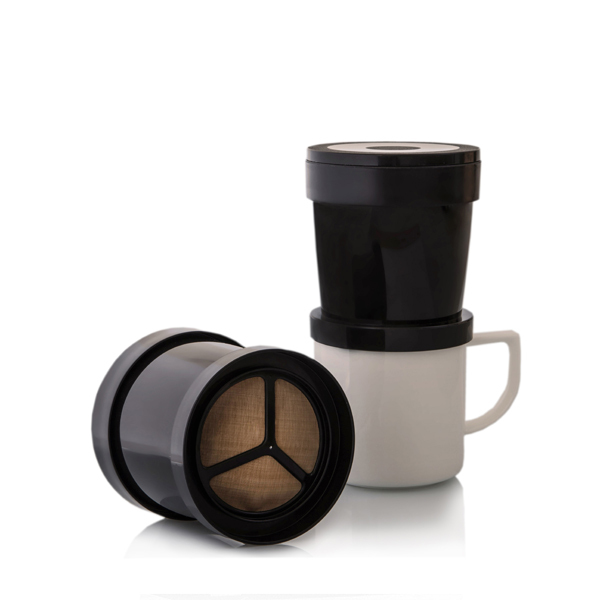 Place the COFFEE SPRINTER on your mug and introduce 2 tablespoons of ground coffee into the filter. The water distributor is inserted to press the ground coffee flat to the stainless-steel mesh at the bottom. Add some hot, not boiling water (appr. 50 ml ) and wait for 20 seconds to allow the ground coffe to swell up. Fill with hot water and pülace the lid on top (caution: observe cup/mug capacity). Hot water passes the ground coffee and fills the mug below. As soon as the water goes through the filter, remove the lid, turn it upside down, then place the filter on the lid which is now serving as a drip-off tray.